Secret Revealed: Thala Ajith Praises Thalapathi Vijay's Theri movie Dance Performance. Ramesh Tilak has said that Ajith has been praising Vijay's performance in the film 'Theri' during the shooting of Vishwasam. 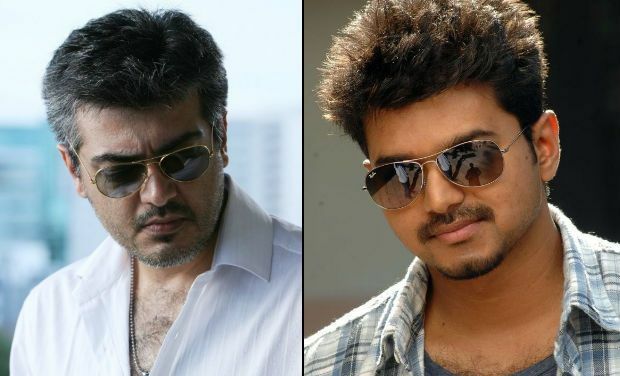 Vijay and Ajith are the lead actors of Tamil cinema after Rajinikanth - Kamal Haasan. The fans are celebrating their movie releases. At the same time, Vijay and Ajith fans have occasionally come up with a word of war. But many of those who worked with Vijay and Ajith are getting really good friends in real life. Actor Robo Shankar, who starred in Vishwasam, met with Vijay and said that he had done well to actor Ajith. Following him, actor Ramesh Tilak revealed about Ajith, "In Vishwasam shooting spot, I was seated with Thala in a caravan, on that time Thalapathi Vijay's 'Theri' movie song was aired on TV. Thala watching his song and said Vijay is a good dancer from the birth. He said that he is dancing very easily. They appreciate each other among themselves"
Write & Share about "Secret Revealed: Thala Ajith Praises Thalapathi Vijay's Theri movie Dance Performance. | Viswasam Tamil Movie News | Cinema Profile" !